Adorn your scrapbooks, cards, gifts, and more with these fun and pretty Happy Easter Chicks Stickers. Featuring darling chicks, these stickers shimmer and shine with glitter and gems. 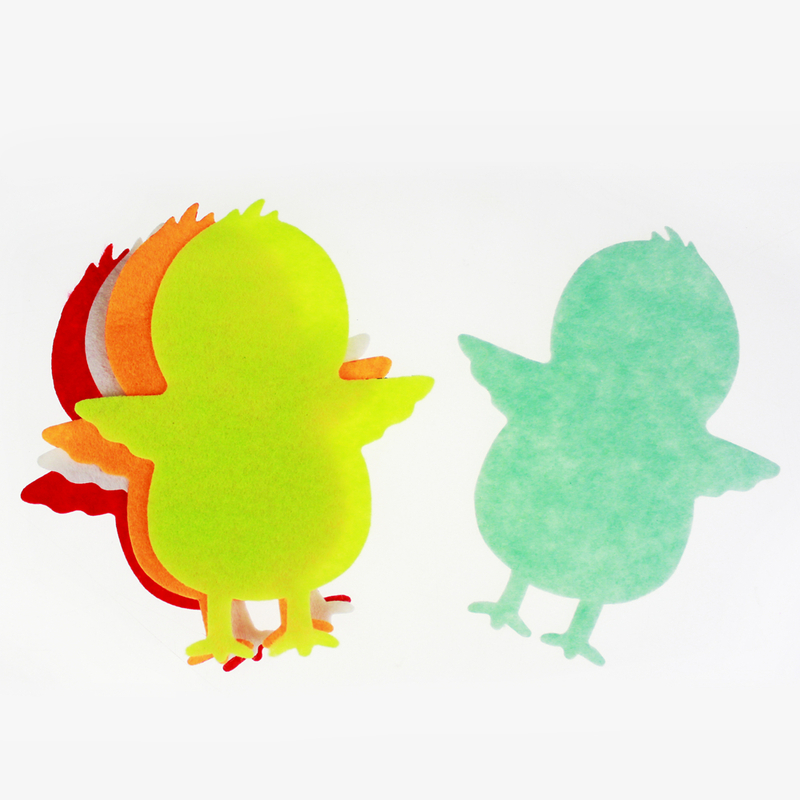 The soft pastel colors make these stickers perfect for adding a little chirp to your projects. They can be in various colors and sizes. Customized is acceptable. Building, executing, perfecting working flows and rules & regulations is our basic management principle, which we believe can help all departments and staffs realize their responsibilities and balance their rights & interests. We`re always trying our best to realize `Fair, Just and Open` policies among all of our management systems, including working flows, assessments & motivations and etc..
Internal communication shall be base on team-building not discussing right-or-wrong. All members shall respect others no matter positions of the staffs in the company. 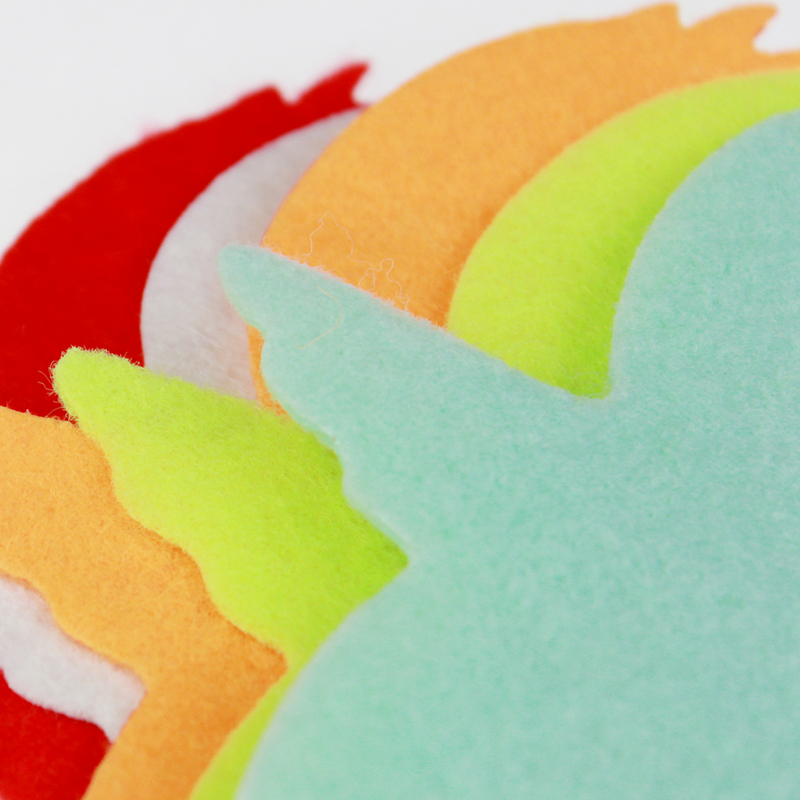 Looking for ideal Cut Felt Chick Manufacturer & supplier ? We have a wide selection at great prices to help you get creative. All the Easter Felt Chick are quality guaranteed. We are China Origin Factory of Easter Chick Kit. If you have any question, please feel free to contact us.